Grows in the mountains and is mycorrhizal with aspen as well as confiers. Greyish brown cap with ridges on the edges. Grows out of a volva, has a point on the center of the cap, and without a veil. 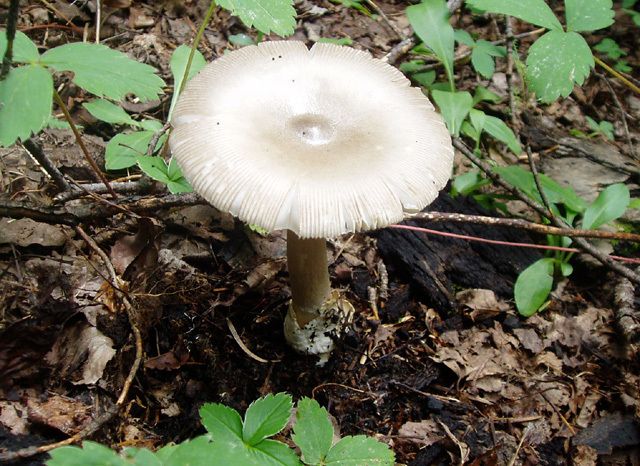 Other similar amanitas are also called grisettes. This mushroom has many poisonous look-alikes.